Investigations into the alleged $2.1bn arms scandal, has taken a step further as operatives of Economic and Financial Crimes Commission (EFCC), silently stormed Kaduna at the weekend, evacuating occupants and sealing property belonging to the lead suspect, the former National Security Adviser, Col. Sambo Dasuki and his cohorts. The confiscated property belonging to Col Dasuki, include an hotel complex located at Government Reserve Area (GRA), Rabah Road, Malali and a Housing Estate at Sani Sami Road, within the same Malali GRA. Findings reveals that one of the property, a mighty residential duplex located at no. 5C, Sultan Close, is said to belong to the immediate past Theatre Commander of Operation Lafia Dole, Major General Yishau Mahmood Abubakar. 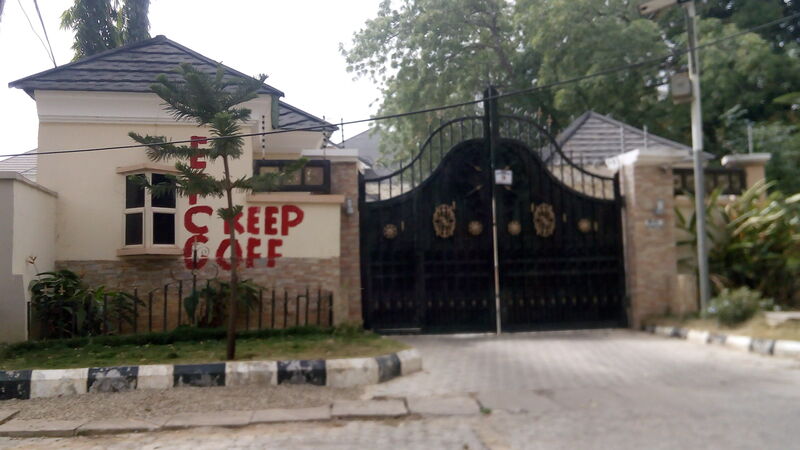 When the property was visited yesterday, red paint mark with title: ‘EFCC Keep off, under EFCC investigation’ was written all over the building. It was also further gathered that when the EFCC operatives stormed the house Sunday evening, there was a birthday party going on, but everyone was asked to vacate the premises with immediate effect after which it was sealed-off. Eyewitness accounts also alleged that the operatives went away with the General’s wife. However, General Abubakar’s whereabouts was sketchy as at the time of filing this report. In addition, a multi”million naira shopping mall, allegedly belonging to General Abubakar’s wife, was equally confiscated by the anti-graft agency, with the same inscription on it. But neighbours around the property argued that the mouth-watering edifice belongs to the General’s brother one Sani and not his wife as alleged. Similarly, another property, a shopping mall along Sultan Road, which is said to belong to General Abubakar’s friend, one Ambassador, (name unknown), which was equally confiscated. Meanwhile, residents of the area, who witnessed operation of the anti-graft agency, expressed optimism in ongoing fight against corruption by President Muhammadu Buhari’s anti-graft war, urging him not to distracted.